Element Locksmith provides fast, efficient, and reliable locksmith services throughout the Greater Seattle area and the East Side. We specialize in automotive, commercial, and residential locksmith services. There is no locksmith problem that we can’t solve. Our professionally trained locksmith technicians have the experience, patience, and poise to help you in any situation. Call us today at (206) 673-3376 and a real person will answer the phone. We were established in 2009 and are now a thriving locally owned and operated Seattle locksmith business. We offer automotive, emergency, commercial, and residential services all over the city. We love what we do! Which is helping people when they need it. We have the latest hardware and equipment and are able to tackle the most complex problems. Why Choose Element Locksmith For Your Seattle Locksmith Needs? Element Locksmith is a locally owned and operated Seattle based company that has taken the time and energy into keeping up with the changing technology for the Security Industry. The owner saw the shift from basic mechanical keys to high security cut keys with embedded microchips. By staying ahead of the curve we were able to shift with the new technology to generate smart proximity fob(keyless entry systems) where many other locksmith companies did not and that made them obsolete. While many other companies are shutting down we are a thriving locksmith company with a bright future. 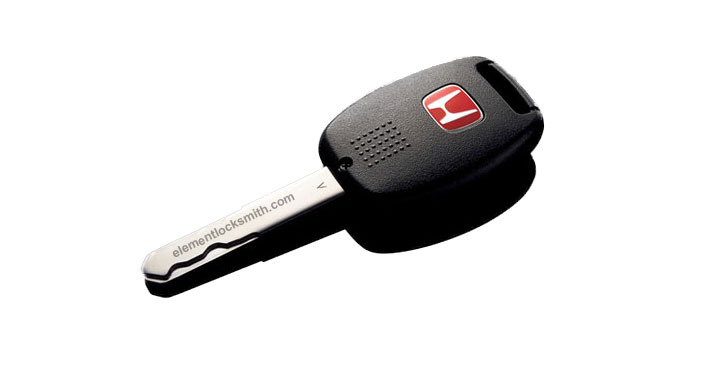 Element Locksmith has experienced Automotive Locksmith Technicians that resolve any automotive locksmith related issue. Our vans are equipped with the latest key cutting machines and powerful key programming and diagnostic tools. Even if your car no longer has the original ignition we can help! Our onsite mobile residential locksmith service is second to none when it comes to customer service. Our experienced locksmith technicians can help you get back into your house, upgrade your security, replace your locks and much more. We take care of each one of our customers as if they were our own family and make them feel safe and secure. Whether you just bought a new house and want it rekeyed or someone tried breaking in we will work with you to find the best solution for your needs. Our locksmiths have been doing commercial locksmith services for large facilities, like Century Link Field, and have experience with everything from a basic lock to high security master key systems. From fresh installs to updating old hardware our technicians can get you taken care of quickly and efficiently. We can typically have one of our professional locksmith technicians out to your location and have them take a look at the issue you are having within half an hour. We can also schedule a time that works best for you and your business. Emergencies are a stressful time for everyone involved. We understand that you need the problem solved immediately. We need your help to expedite the process. First, make sure that you answer your phone when we call you back. Second, help us by giving us your exact location(even having the cross streets or name of a close by business helps). In the event that you are unsure, open your map app in your smartphone and a blue dot will show your exact location – please share that with us. Third, have your state issued ID ready for us to verify. Finally, provide us with as much exact information regarding your emergency as possible. For example, if you need a car key made, please tell us the make, model, and year of the car. We also need to know if the key you lost operated both the door and ignition. If you are experiencing an emergency, we need to know what happened, how many doors and keys need to be serviced, the brand name stamped on the lock and keys. All this information will help our technicians provide you with faster and more efficient service. Justin from element locksmith was amazing. I am very relieved. He constantly kept me updated, got here before the estimated wait time, and helped me get a new key in two seconds flat. I am incredibly grateful to him and element locksmith, highly recommend! My experience with Jeren was TOP NOTCH! He was responsive, punctual, and professional throughout the process. He was able to resolve a problem created by a previous locksmith and incredibly fair in his pricing. If you need a locksmith, Jeren is the one call! Roy arrived even earlier than promised, was very communicative and went above and beyond to help. I would definitely call them again. Justin was great. Came on time, fast, great customer service. Rekeyed mmy Audi and programming in less than an hour! Prompt, efficient service. Great work at a fair price. My problem was solved within two hours of my first call. Justin got us into our Jeep in a jiff! Superb! And no one else took the call. Deepest regards.